Transitioning your tot from a crib to a big kid bed is a major milestone. Your kiddo can't wait to get out from behind those crib bars, but your main concern as a parent is making sure his new bed is safe as well. Naturepedic can help when it comes to providing a healthy slumber haven for your growing child. 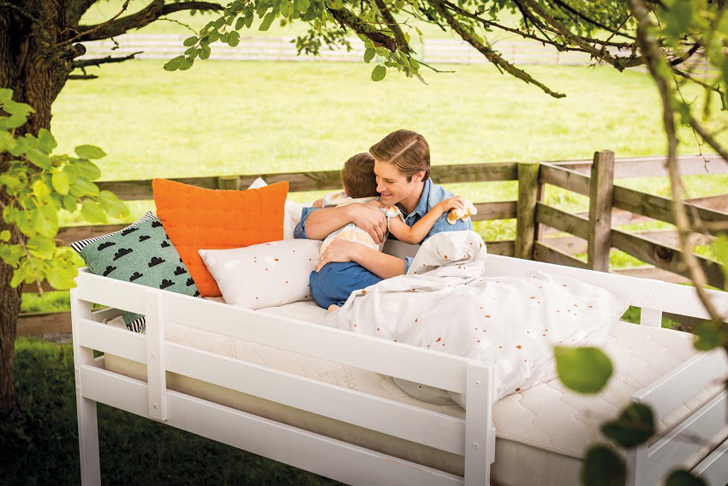 Naturepedic has designed a 2 in 1 organic cotton ultra/quilted mattress especially for this stage -- and it's not only comfortable and chemical free, it's ingenious in its versatility. One side of the 2 in 1 mattress is waterproof and one side is luxuriously quilted. When tots first sleep in their big kid bed, parents should use the waterproof side of the mattress during the potty training stage. Added bonus, the waterproof side also acts as a barrier to dust-mites, which is key for allergy-prone little ones. As big kids begin to sleep through the night with no accidents, the mattress can be flipped over to the plush quilted side. No more need for a whole new mattress once the young child years are over! Naturepedic has the utmost respect for the environment and your family’s health when producing their products. Handmade in the U.S.A by Amish craftsman without using potential allergens like wool, latex or soy, Naturepedic mattresses are also free of worrying flame retardants, while still passing all federal flammability standards. Parents can have the peace of mind that they’re tucking their kids into a bed (where they spend up to half of their early lives!) that’s totally free of questionable chemicals and comprised of certified organic cotton fabric and filling surrounding a durable innerspring to support growing kids. Naturepedic mattresses are one of the only mattress companies in America to be certified to the Global Organic Textile Standard (GOTS). Additionally, Naturepedic also stands behind their quality workmanship, offering a 20 year limited warranty on their products. The vast majority of conventional mainstream mattresses are host to an array of issues that could negatively impact health. 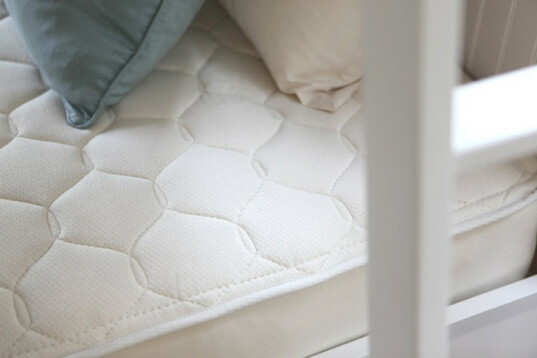 VOCs inherent in chemical containing mattresses comprised of materials such as polyurethane foam, formaldehyde, and petroleum-based materials are linked to both respiratory and skin problems such as eczema — and flame retardants that coat most mattresses are doused in carcinogens which are linked to cancer and disorders of the nervous system. For these reasons and more, it’s of vital importance to select a mattress that’s free of all of these harmful agents. Parents can outfit their child’s bed with other Naturepedic organic bedding products for kids that are also free of nasty chemicals and flame-retardants. Any veteran parent knows that accidents during the night are par for the course in early childhood. It’s a major pain to wake up during the night to discover that your child’s mattress has been soaked through — so for an added layer of protection Naturepedic offers a variety of waterproof protector pads. And of course, organic pillows and organic pillowcases make the safest, softest landing for your child’s head on his/her way to dreamland. Since pillows often double as a child’s lovey and get toted to and fro around the house and on vacation, an organic pillow is a smart choice to keep toxins at bay. Pillows are available in both toddler and standard sizes in an organic kapok/organic cotton blend or in an organic cotton/PLA (potato starch, plant-based) blend. Naturepedic pillowcases are 100% organic cotton in a luxurious 300 thread count ivory sateen fabric. Naturepedic is a trusted partner of Healthy Child Healthy World and the company is GREENGUARD GOLD certified and endorsed by Allergy Kids Foundation. Naturepedic’s affiliations with and endorsements from these organizations prove the company’s commitment to the health of our children. Babies and toddlers spend 10-14 hours per day sleeping, which is why it is vital that their mattress — where they spend such a large portion of their young lives — is made with care and integrity. We are about to buy bunks for our kids and will need mattresses. This looks perfect! Naturepedic has the utmost respect for the environment and your family's health when producing their products. 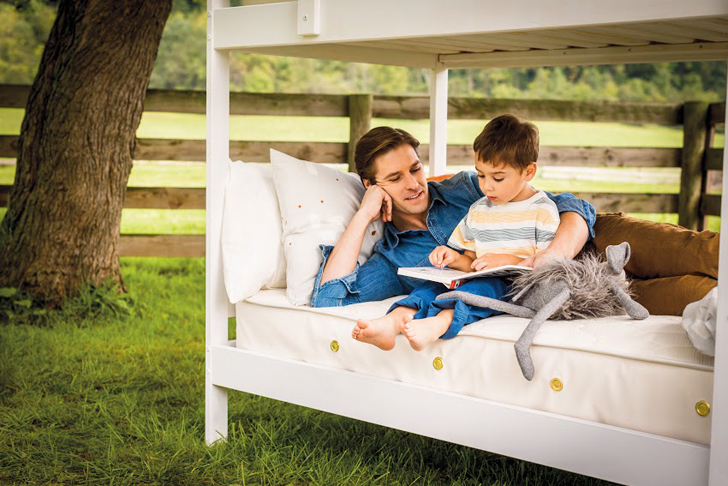 Handmade in the U.S.A by Amish craftsman without using potential allergens like wool, latex or soy, Naturepedic mattresses are also free of worrying flame retardants, while still passing all federal flammability standards. Parents can have the peace of mind that they're tucking their kids into a bed (where they spend up to half of their early lives!) that's totally free of questionable chemicals and comprised of certified organic cotton fabric and filling surrounding a durable innerspring to support growing kids. Naturepedic mattresses are one of the only mattress companies in America to be certified to the Global Organic Textile Standard (GOTS). Additionally, Naturepedic also stands behind their quality workmanship, offering a 20 year limited warranty on their products. The vast majority of conventional mainstream mattresses are host to an array of issues that could negatively impact health. VOCs inherent in chemical containing mattresses comprised of materials such as polyurethane foam, formaldehyde, and petroleum-based materials are linked to both respiratory and skin problems such as eczema -- and flame retardants that coat most mattresses are doused in carcinogens which are linked to cancer and disorders of the nervous system. For these reasons and more, it's of vital importance to select a mattress that's free of all of these harmful agents. 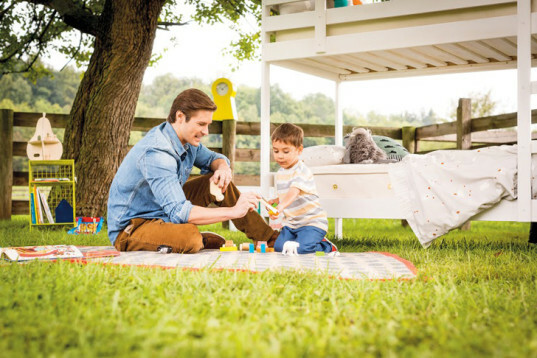 Parents can outfit their child's bed with other Naturepedic organic bedding products for kids that are also free of nasty chemicals and flame-retardants. Any veteran parent knows that accidents during the night are par for the course in early childhood. It's a major pain to wake up during the night to discover that your child's mattress has been soaked through -- so for an added layer of protection Naturepedic offers a variety of waterproof protector pads. And of course, organic pillows and organic pillowcases make the safest, softest landing for your child's head on his/her way to dreamland. Since pillows often double as a child's lovey and get toted to and fro around the house and on vacation, an organic pillow is a smart choice to keep toxins at bay. Pillows are available in both toddler and standard sizes in an organic kapok/organic cotton blend or in an organic cotton/PLA (potato starch, plant-based) blend. Naturepedic pillowcases are 100% organic cotton in a luxurious 300 thread count ivory sateen fabric. Naturepedic is a trusted partner of Healthy Child Healthy World and the company is GREENGUARD GOLD certified and endorsed by Allergy Kids Foundation. Naturepedic's affiliations with and endorsements from these organizations prove the company's commitment to the health of our children. Babies and toddlers spend 10-14 hours per day sleeping, which is why it is vital that their mattress -- where they spend such a large portion of their young lives -- is made with care and integrity. Visit Naturepedic to learn more. Visit Naturepedic to buy your 2 in 1 Organic Cotton Ultra/Quilted Mattress today.